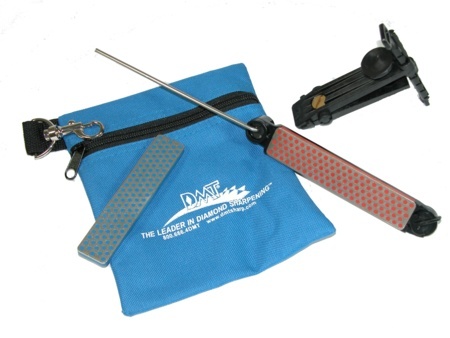 For professional sharpening results, regardless of skill, depend on DMT® Aligner™ Kits and Accessories. The Aligner™ Quick Edge Kit includes two 4" Diamond Whetstones™ and a fabric storage pouch in which to carry the Aligner™ components. Easy-to-follow instructions included.